What steps are you taking to effectively manage your vendor’s performance? Most companies don’t manage lead times effectively or at all. Lead Times are reviewed quarterly or annually as part of a vendor performance review. Lead time quoted by the vendor is only the starting point for understanding vendor performance. High variability in performance affects bottom line results. Early vendor deliveries cause overstocks, late deliveries can trigger out-of-stock service issues. HIMPACT reviews lead-time performance daily as each purchase order is received. Lead Time and Lead Time variability are tracked by vendor and SKU, and automatically incorporated into the Safety Stock calculations. In other words, if your vendor is providing service levels at 92%, HIMPACT knows how much additional inventory is needed for you to make your 95% service goal for your customers. When vendor on time performance shifts, up or down, HIMPACT proactively alerts the buyers. HIMPACT takes a much more robust approach in lead time forecasting. We daily identify the “Needle in the Digital Haystack,” alerting the buyers of shifts in vendor performance. With thousands of items in a product assortment, it is impossible for buyers to identify all the SKUs that vendors have a harder time filling. HIMPACT’s Lead Time forecasting takes the emotion out of the often overlooked aspect of “when to buy”. With daily tracking down to the item level, you have the tools to manage your fill rates and customer service. When vendor on time performance shifts, up or down, HIMPACT proactively alerts the buyers. If lead times are irregular because of a coordinated promotion or production schedules, those orders can easily be excluded. 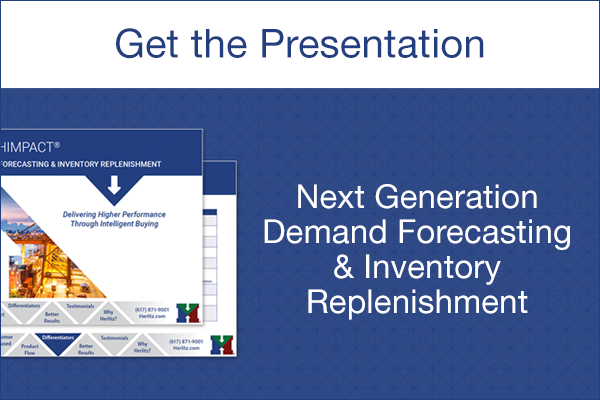 This allows lead time forecast calculations to truly reflect the vendor’s actual performance. HIMPACT is dynamically making adjustments to each item’s order point based on the lead time forecast and variability. It identifies exceptions and allows you to make adjustments to the flow of product to match your vendor’s capabilities. Identifying the right inventory mix provides you the highest level of customer service while minimizing your inventory investment, keeping you one step ahead of the competition.